Today we are interviewing Sandi Masori and Rachel Porter about their crafts and hobbies book The DIY Balloon Bible For All Seasons: How To Wow Your Friends and Impress Your Relatives With Amazing, Easy Balloon Decorations. 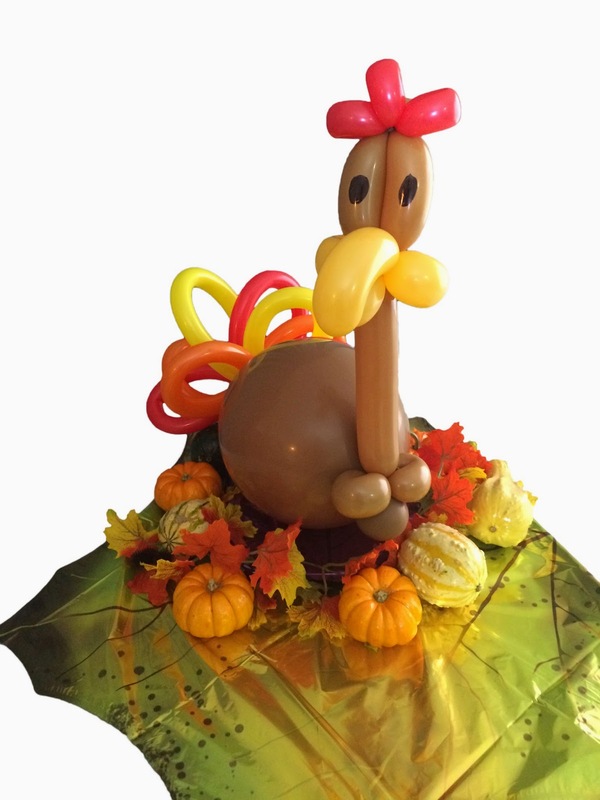 A turkey balloon idea from the book. Sandi Masori, CBA CMT, is a four- time best-selling author, TV personality, coach, marketer and balloon expert, (and a mom, daughter and wife). She began her journey into balloons in 1994 when she was a ﬁrst grade teacher in Los Angeles. She quickly found that she had an afﬁnity for balloon shapes and began busking in the bars and night- clubs of LA. She also started using balloons in the classroom to encourage good behavior. By and by she was invited to perform in Japan and spent a year and a half making balloons in the Kansai region. Eventually her travels took her to Israel, where she met her husband and started the transition from balloon entertainment to balloon decorations as well. Masori and her husband moved to San Diego in 2000 and opened up under the name Balloon Utopia, where they have been operating as San Diego’s premiere balloon company ever since. From the time that she began making balloons, Sandi has been sought after to teach at international conventions and workshops. She was the ﬁrst female balloon artist to release an instructional video for the balloon twisting industry. Masori also authored and published two other best-selling books on balloons. She has produced hundreds of instructional videos, for both her own channel and those of her clients. Sandi’s YouTube channel, Sandi Masori Balloons has over 8,000 subscribers. She has appeared on local and national TV shows like Daytime and The Today Show, and has been called by the media “America’s Top Balloon Expert”. 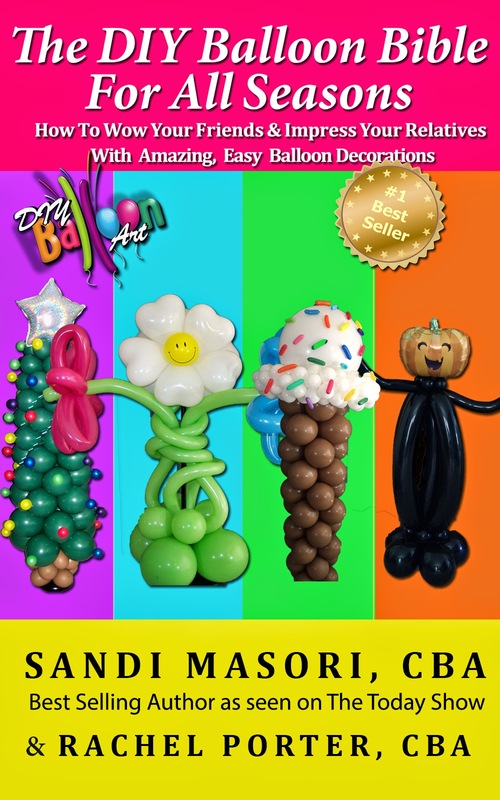 To bring amazing balloon art to the crafters and do-it-yourselfers. We want everyone to be able to experience the joy and satisfaction of transforming a room, party or event. Crafters, diy-ers, Martha Stewart lovers, Michaels, Jo-Ann Crafts, and Hobby Lobby junkies. When did you first become interested in being a balloon artist? For me, (Sandi), it started as a way to support my teaching habit (first grade). I found that I was really good at it and that it made people happy. I also found that no matter where I went, balloons were universal and transcended languages, borders and cultures. What do you like most about being a balloon artist? When you decorate with balloons, everyone walking into the room gets an instant mood lift- there’s something about balloons that reaches the deepest part of us and brings out our joyful inner child. What is the memorable event you have done balloon art at? We do both entertainment and decorations, so we have been really blessed to get to go to a lot of different types of events. I think out of all of the events of the past 20 years, there are two that really stand out for me. The first was when the late Tony Gwynn retired from the Padres. They commissioned us to make a giant walk- through baseball tunnel out of balloons, and we had to design it so it could get on and off the field in 5 minutes after the game was over. So the game ended, and then we had to wheel this 10’ balloon baseball onto the field. It was a sold- out game, and looking up into the stands with that many people all around you is just dizzying, awesome, but dizzying. The other event that really stands out to me was when Southwest Air opened up their direct San Diego/ Denver flights. They flew me and some penguins from Sea World to Denver to entertain on the inaugural flight. So, the penguins and I were walking up and down the aisle of the plane, them toddling as they do, and me passing out penguin balloon sculptures that I had made in advance. I have a pretty popular You Tube DIY balloon channel (Sandi Masori Balloons), so writing the book just seemed like a natural evolution to the videos. We’ve noticed that there are two types of people, the DIY-ers and those who would rather hire someone. The DIYers want to make their own for the satisfaction of creating. We noticed that a lot of the DIY instructions being put out there for balloons was just, well, bad. Most of it was not put together by balloon professionals, so there were lots of critical instructions that were missing. We wanted to give the DIYers the opportunity to do some great balloon work that would get the reaction that they were really looking for. Rachel is a crafter, besides being a balloon artist, and I am a teacher. So we felt we had a pretty good sense of what people might like, and what they would be able to do without pulling their hair out. We hope that we were able to get a really good balance of exciting designs, but still do-able for most people. Do adults have different preferences for their balloon art compared to kids? Although every so often adults will ask for “blue” balloons, most of the time, they are just as captivated by the magic of the art as kids are. Maybe even more so, because while kids will get excited that it looks like something, adults will notice the artistry and attention to detail. Like I said before, there’s something about balloons that brings out the joy of our inner child. How did you connect with Rachel Porter? What’s it like to create balloon art together? Rachel and I met at an invitation only industry workshop. We ended up being roommates, and she stayed up all night with me helping me prepare for the CBA exam (certified balloon artist). Though I had been in the industry for a long time, I had not taken the CBA until then. We became great friends. I love collaborating with her because we have really different styles. When our styles come together it’s something really awesome- better than what either of us would have come up with on our own, I think. The next project will be book two of the series- focused on milestone events—balloons for birthdays, weddings, anniversaries, bar mitzvahs, quinceaneras, sweet 16s, etc. You get the idea. We’ll probably start filming the videos for it in the next month or two. Because balloons are so visual, and 3 dimensional, I think it’s really hard to learn it just from a book. Also, as a former teacher, I can’t help but try to address the various learning styles, so for that reason, every recipe has a step by step video counterpart to help you learn the design..
We have a facebook group so people can post their pictures and ask us questions (http://www.facebook.com/groups/diyballoonart ) We want to be really accessible and make sure that the crafters who get the book and try the designs have everything that they need to succeed at it. We’d really love to meet them there, see their stuff and get to know them.